Posted April 22nd, 2018 by Mike Boyes & filed under Abnormal Psychology, Child Development, Clinical Neuropsychology, Disorders of Childhood, Human Development, Neuroscience, Physiology, Psychological Health, Stress Biopsychosocial Factors Illness. Description: Consider this well supported research finding. 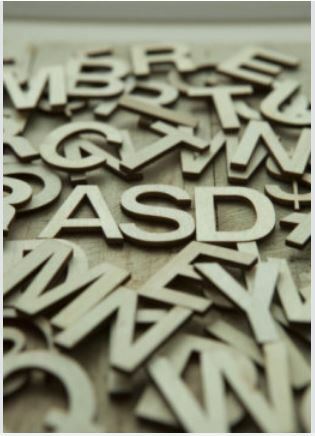 One third of individuals diagnosed with Autism Spectrum Disorder (ASD) are also diagnosed with epilepsy. Epilepsy is the unregulated firing of neurons in the brain, sometime limited to small brain areas (petite mal seizures) and sometime spreading throughout the entire brain (grand mal seizures). Folks with ASD are more likely to have a mutated gene called CNTNAP2 or referred to colloquially as “catnap2”. While this has been known for a while what has not been clear is how the presence of this mutated gene is related to higher incidents of epilepsy. The article linked below describes a recent study looking at this question directly and suggesting a possible explanation for how the catnap2 gene might be related to epilepsy. Read the article linked below to see this possible explanation. Source: When kids’ autistic brains can’t calm down, ScienceDaily. 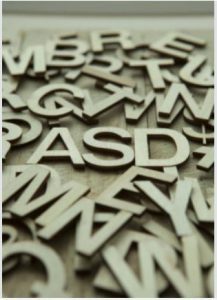 The researchers suggest, in the article linked above, that the Ccatnap2 mutated gene may not provide the “brain calming” influences that it normally would and that this is what may contribute to increased rates of epilepsy in ASD individuals. They suggest that this information my guide the development of new approaches to controlling epilepsy in this population. What was not discussed in the linked article is the possible role that mutations in the catnap2 gene might play in the emergence of the symptoms associated with ASD. Certainly, one can quickly imagine how the effects of the mutation to the catnap2 gene might be related to symptoms of ADHD (lack of “brain calming”) but it is less clear how it might be related to other ASD symptomatology. Several articles cited in the Further Reading section below provide a bit more information in relation to this particular question. How does the catnap2 gene mutation potential contribute to higher rates of epilepsy? What sorts of ways might treatments based on this information about the role of catnap2 gene mutations lead to treatment possibilities? What are some possibly ways in which the lack of “brain calming” associated with eh catnap2 gene mutation be related to some symptoms associated with ASD ? Gao, R., Piguel, N. H., Melendez-Zaidi, A. E., Martin-de-Saavedra, M. D., Yoon, S., Forrest, M. P., … & Surmeier, D. J. (2018). CNTNAP2 stabilizes interneuron dendritic arbors through CASK. Molecular psychiatry, 1.